Simon & Schuster/Paula Wiseman Books, 9781481457767, 288pp. Evie Messenger knows that her family is different from other families. But it isn’t until her fifteenth birthday that the Messenger gift is revealed to her. Evie has the family’s gift—a special power. 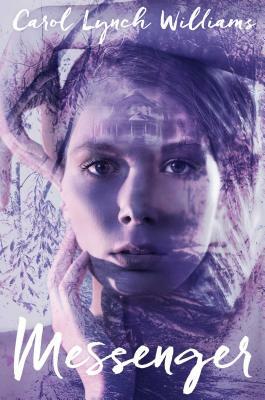 Soon she realizes she is able to see and talk to the dead—ghosts—often with no idea who the person was. Or as Evie says: “I see Dead People. It’s a Messenger gift.” That doesn’t mean she wants the Messenger gift. So Evie tries to ignore it but soon she finds she cannot. Can Evie find a way to live her life without letting her power take over?And what if the dead person is someone close to Evie’s family? "Eerie and poignant, Carol Lynch William’s powerful MESSENGER will haunt its readers. This book about family and destiny will grab the reader’s heart and refuse to let go." Williams creates a recognizable world with Evie ... Even though her Gift may be supernatural, Evie herself comes across as a well-rounded, likable character. Another solid outing from Williams.